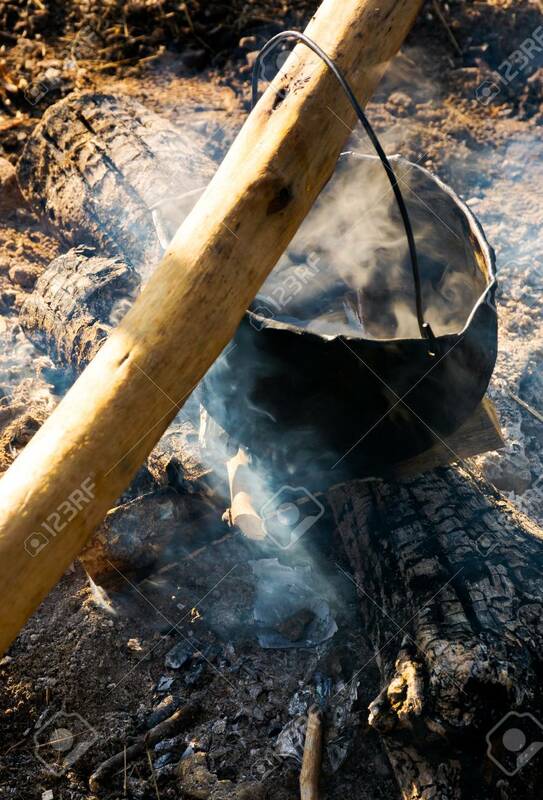 Cooking In Cauldron On Open Fire. View From Above. Healthy Food.. Stock Photo, Picture And Royalty Free Image. Image 107011677.